Choosing a location and date for your wedding are typically the first two steps in the wedding-planning process. Many couples have a vision of the venue and season right away. Whether that vision is a ranch in July, an elegant ballroom in spring, an aspen grove in fall, or slopeside in the winter, the venue sets the tone and style of the wedding. 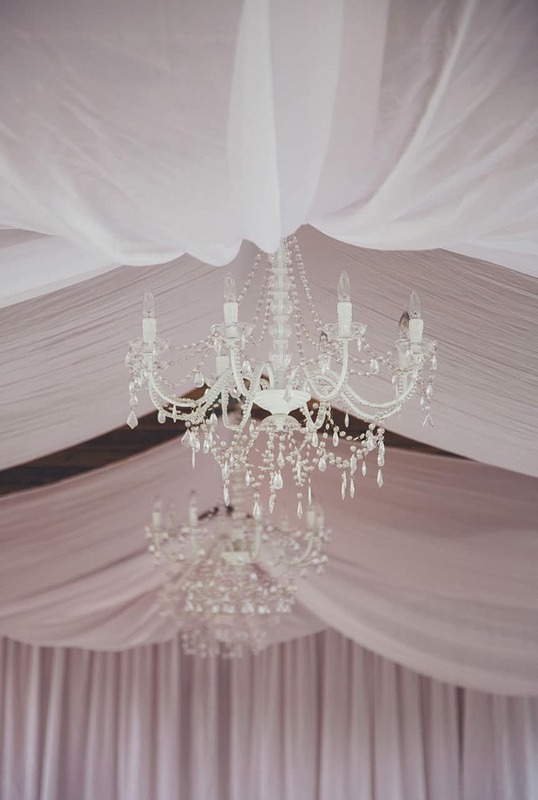 When selecting a venue, the most important considerations are budget, capacity, ceremony location, date availability, and indoor/outdoor options. The initial search for a venue can be daunting and overwhelming. Venues offer a variety of information in varying formats, which makes it challenging to compare them all. However, with some due diligence, you can find the perfect place for your wedding. 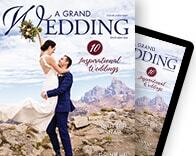 Start by browsing wedding magazines, websites, and blogs to see what catches your eye. Enlisting the help of a wedding planner can be very valuable since he or she is familiar with many local venues and can make recommendations for ones that fit your style, vision, and budget. Begin to estimate your wedding budget, which will include a line item for the venue. This is important because the venue is typically a significant portion of your wedding expenditures. The number of guests will affect your selection, so calculate your best guess. The capacity of some venues maxes out at fifty people, while other venues would feel way too large for that number and are more suitable for 120-plus guests. With a rough estimate of your budget and guest count, you will be able to quickly assess if a venue is a potential match. Do you want your ceremony and reception in the same place? If you pick a ceremony location separate from your reception, you will want to consider transportation options for your guests to safely and easily arrive at both locations. When looking for a venue with a ceremony site on the premises, be sure to ask if there is an additional fee for using the site. In the Jackson Hole area, venues can be grouped into two categories: ones that need a tent and ones that do not. 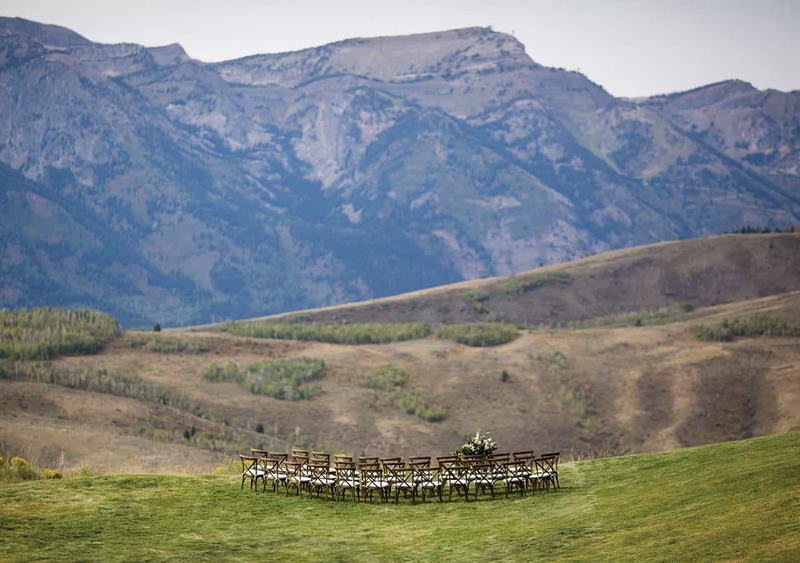 Venues that need a tent are primarily ranches, where the reception location is a field with stunning views of the Tetons. Typically, very few other amenities, such as bathrooms, are included. This means you need to coordinate a tent rental, bring in bathrooms, and rent a dance floor and more to build your event site. The venues that do not need a tent provide a structure for you, such as an existing tent, private dining room, or hotel ballroom. Venues that provide the structure tend to have an in-house caterer and kitchen, bathrooms, a parking lot, and dining items. Each venue is unique, so be sure to ask what is included in the rental fee. Flexibility with your wedding date will provide more options. Venues book out as far as eighteen months. If you can be flexible with a specific date, you will have more choices. Many guests make their trip to the Tetons a vacation, so you might consider a weekday date, which some venues might discount. Start contacting your favorite places to learn more about what they offer and at what price. If possible, schedule a site visit of your top three to five locations; this will prove very helpful in making a final decision. Be sure to make appointments to tour the entire venue site and meet with the person who would be your contact during the planning phase. Don’t forget to take photos so you can remember all the details. If you will not be visiting the venues prior to booking, ask if there are any recent wedding photos that you can see. Either way, be sure to ask all your questions before booking. To help organize all the venues’ information and compare options, be sure to ask the same questions, take notes, and use the Venue Worksheet (on jacksonholewedding.com). Choosing a venue is undoubtedly one of the largest decisions when planning a wedding—once you pick one, all of the other planning pieces will fall into place. 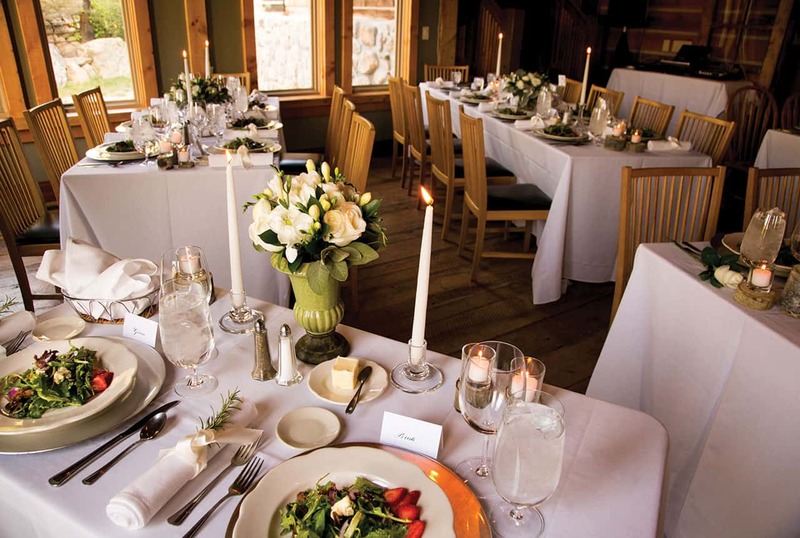 From an intimate dinner at a favorite restaurant to a tent on a picturesque ranch, the Jackson Hole area offers a size, price, and season for every wedding style. Lindsey Nickel is a professional wedding planner and owner/founder of Lovely Day Events, a boutique wedding-planning company that specializes in “day-of” and partial planning for local and destination couples. Lovely Day Events prides itself on excellent customer service, a personal experience for each client, and attention to details. You can learn more at lovelydayevents.com, on Lindsey’s blog, jacksonholeweddings.wordpress.com, or by calling 510/517-1269.